This is a rectangular Passing Show Cigar porcelain sign. This particular Passing Show Cigar sign is predominantly red with yellow and white text. 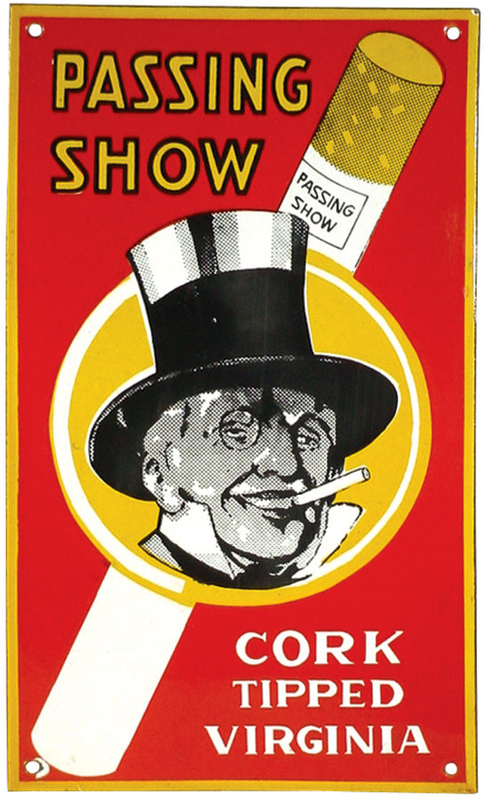 It reads, “Passing Show, Cork Tipped Virginia” and features a large cigarette with an elderly man smoking in a black top hat in the center.